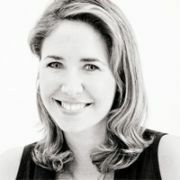 Jenny is modern-day multi-media journalist, editor and story-teller. From in-depth television reports to radio features and interactive online stories, Jenny is experiencing firsthand the convergence of media and its effect on the industry. Amongst her journalistic persuits, she was worked as Managing Editor of Video ar Bankrate Inc, Personal Finance Reporter at CreditCards.com, and reporter for Deutsche Welle in Berlin, Germany. Before moving to Germany, Jenny worked as a political reporter and anchor for the NBC affiliate in Austin, Texas. Besides covering all the news coming out of the Texas legislature, her work brought her from the war in Afghanistan to the battles in Washington D.C and beyond. At the forefront of several national stories, she also gave dozens of live reports for CNN and MSNBC.